TwitterJobSearch uses semantic tools to analyse Tweets for messages about job listings. The tools are able to accurately find Tweets about jobs and determine where the jobs are. 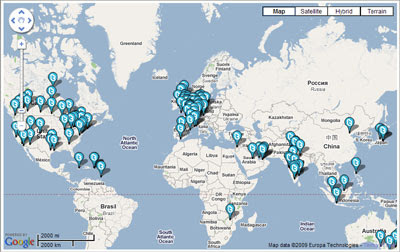 From the extracted location data TwitterJobSearch is able to show all the job listings on a Google Map. You can zoom in on your location on the map and see how many jobs are listed for your location. If you click on a map marker you will be taken to a page displaying the jobs listed for your location. The semantic analysis of Tweets seems to work incredibly well and to be able to search for the jobs via location on a Google Map is a great option.